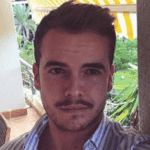 A BRITISH expat has been arrested for drug trafficking on the Costa del Sol. The 46-year-old was cuffed after allegedly selling a range of Class-A drugs in bars around Fuengirola. 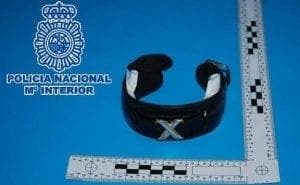 Police found a bracelet (pictured) the suspect used to conceal his drugs when distributing. In a raid on his home, cops found 14 grams of MDPV – known as the Cannibal drug – 50.5 grams of speed, 48 of cocaine, seven of MDMA and a score of ecstasy pills, €900 and other drug paraphernalia. “Cannibal drug”? Really? How many have gone in the cooking pot so far?